The CLB-VI90 CL Series Vertical Inside Bend Cable Ladder from Middle Atlantic is a 90° vertical inside bend section that can be combined with other CL Series ladder pieces and most popular brands of cable ladders to customize your setup and meet your exact needs. Use this rugged ladder and others sections in the CL series to better organize and manage the cabling in your rack and work environment. Each ladder section is individually boxed with handles to facilitate transport. The ladder is constructed from welded steel and is highly scratch resistant, featuring a double-layered black powder-coat finish. Use this rugged ladder and others sections in the CL series to better organize and manage the cabling in your rack and work environment. The CLB-VI90 is a 90° vertical inside bend section that can be combined with other CL Series ladder pieces and most popular brands of cable ladders to customize your setup and meet your exact needs. Each ladder section is individually boxed with handles to facilitate transport. 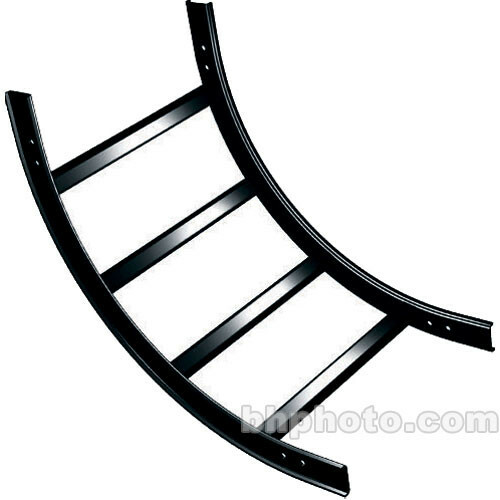 The ladder is highly scratch resistant, featuring a double-layered black powder-coat finish. Dimensions (HxWxD) 15-1/2 x 12 x 1-1/2"
Weight Capacity Up to 187 lbs weight capacity per foot based on a 4' support span. Box Dimensions (LxWxH) 23.2 x 14.2 x 7.3"